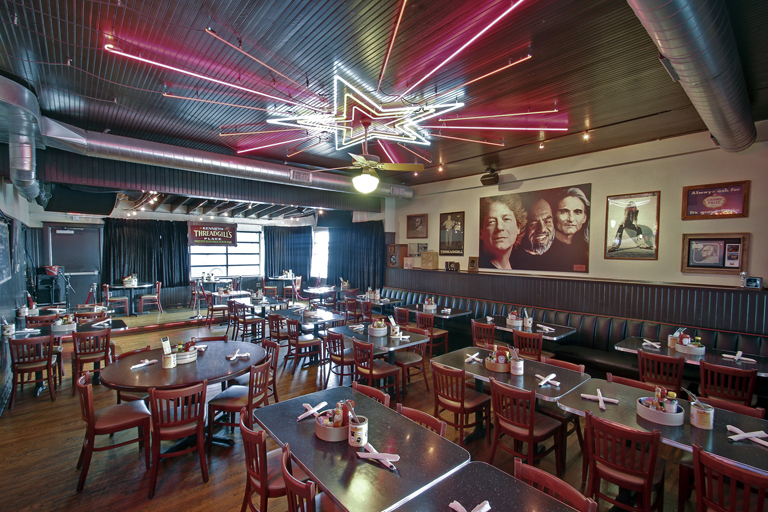 Threadgill’s Old Number One has 5 dining areas that can be reserved for banquets and private parties. The “Janis Joplin Room” is a semi-private dining area filled with memorabilia of this famous rock-star that can accommodate 15-20 people. The “Lone Star Room” is a private dining area that can accommodate 20-30 people. 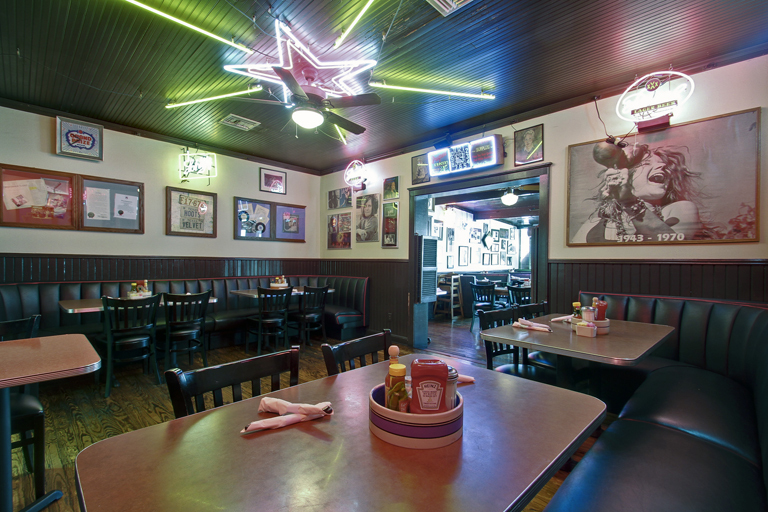 The “Porch” is a semi-private dining area filled with Threadgill’s memorabilia and can accommodate 30-45 people. “Kenneth Threadgill’s Place” is a private dining area that can accommodate 50-100+ people. Please note “Kenneth Threadgill’s Place” has a public address system and stage that are useful for hired musicians, speeches, toasts and business meetings. Threadgill’s does not charge a “room charge,” but a minimum number of set priced meals must be guaranteed. The number of meals may vary depending on the time and day of the week. Threadgill’s may require a deposit and/or a contract for your event. In all cases, Threadgill’s requires that the party’s host submit final head counts, menu selections and bar service decisions no later than one week prior to the date of the party. Threadgill’s offers a full service bar. A wide selection of liquor, beer and wine can be offered as a hosted or cash bar. Please contact a restaurant manager at 512.451.5440 for menu and pricing options for your event. Five dining areas with capacity from 15 to 100 people. commodate 15-20 people. 15-20 people: The “Janis Joplin Room” is semi-private, filled with Janis Joplin memorabilia. 20-30 people: The “Lone Star Room” is entirely private, perfect for small gathering or meeting. 30-45 people: The “Porch” is semi-private, filled with Threadgill’s memorabilia. A full range of menu and bar options are available. Please contact a restaurant manager to discuss.